In T20s, Goswami fared poorly in the Women's T20 Asia Cup in Kuala Lumpur where the 35-year old returned with one wicket from four matches. Jhulan Goswami, a veteran of Indian cricket, has retired from T20Is on August 23, 2018. 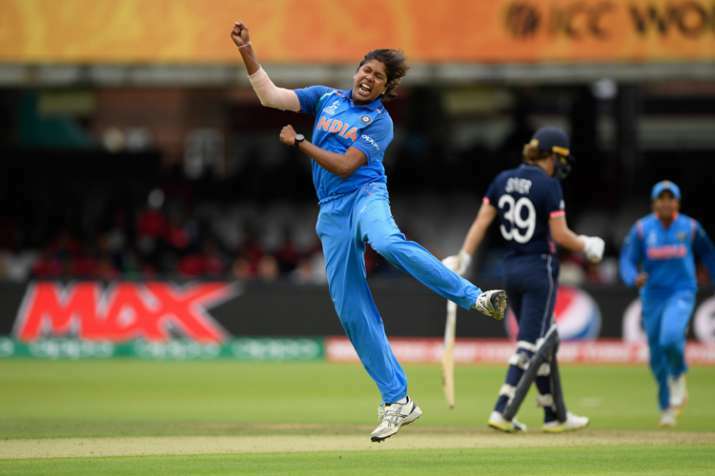 India's ace woman pacer Jhulan Goswami, who announced her retirement from T20Is on Thursday, said she now wants to focus on One-Day Internationals only, adding it was becoming difficult to continue playing both formats simultaneously. "This was something I had been thinking for a long time. I want to concentrate on ODIs now and I feel I was not able to give my best in both formats," Jhulan told IANS over the phone. Asked if her decision would impact the team's performance with less than three months to go for the Women's World Twenty20, Goswami said: "I think the team has some very good players. I can't talk about whether they will find my replacement or not but I am sure with the kind of talent we have, we will keep doing well as a unit." Jhulan is the leading wicket-taker for India women with 56 wickets in 60 T20Is. Her 5 for 11 against Australia at ACA-VDCA Cricket Stadium in 2012 is the best bowling figures for India in the shortest format. Jhulan, who hails from Bengal, last played a T20I in the Asia Cup final against Bangladesh women in Kuala Lumpur, which India lost by three wickets. The experienced player, who made her international debut in 2002, is also the highest wicket-taker in ODIs with 203 scalps from 169 games. She has also donned the white flannels for India in ten Tests, taking 40 wickets at 16.62.